It was the Oscars last night, and today the Internet is awash with photographs of actresses in their red carpet outfits. 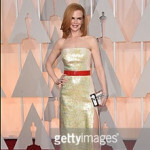 Of course, there is commentary about the best and worst dressed - and I even saw one actress appearing on both lists so clearly there's a question of personal taste coming into it, but the one that stood out to me (for the wrong reasons) was Nicole Kidman's dress which was a shimmering pale gold on ivory which she was wearing a belt with. 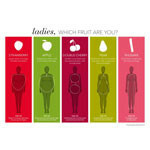 What new kind of fruit could you be?